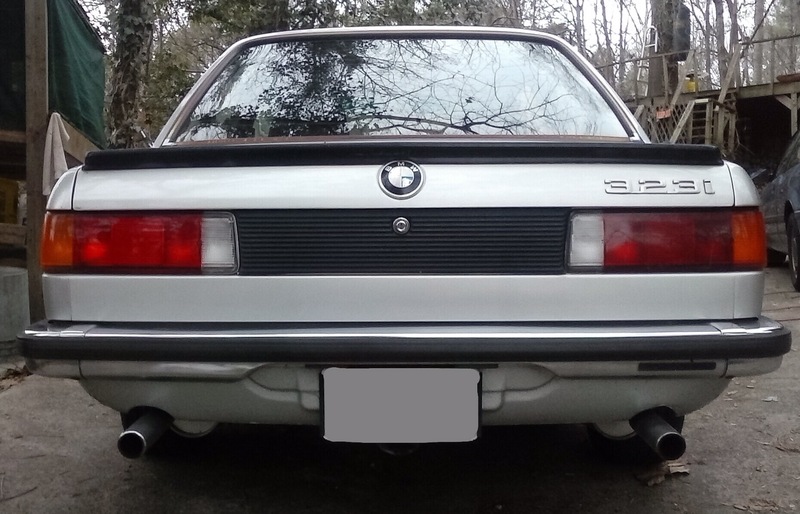 One of the first things people notice is that the 323i has a dual exhaust. It’s the only modern BMW with one until the 1998 M Roadster arrived. The single tips on both sides give the car some added muscularity and I love them. The rest of my car’s exhaust is also interesting. It is a true dual exhaust; each exhaust outlet is traced back to one of the manifolds on the engine. Even though this is an inline 6 engine, we still refer to groups of cylinders as “banks”, just like in a V layout. Bank 1 is cylinders 1-3. Bank 2 is cylinders 4-6. There is no X or H pipe in the exhaust stream. This would probably improve performance but BMW didn’t see the need. There is a center resonator and a muffler on each side. There is no catalytic converter which I have seen on other grey market cars. The sound is fantastic. There’s a bit of rasp throughout the RPM range. Because I’m still breaking in the new engine I haven’t revved it past 5,000 RPM but I bet the sound is glorious. Can’t wait to get the car on some backroads in warmer weather and open the sunroof and windows. Video to be added when that happens. Update: Supersprint just told me that they are re-introducing their headers and all-stainless sport exhaust. That will bring some more power and improve the sound even more. They’re going with 2 round tips on each side (4 total) though. I’ll have to see how that turns out. Update 2: the Supersprint system has been ordered! I went for the whole system – headers, center section, and mufflers. Supersprint will have two muffler types available: Performance with 4 60mm tips and Race with 2 60mm tips. I opted for the Race mufflers because I want an aggressive and “ripping” sound. If my past experience with Supersprint holds up I think I’ll be pleased. That’s an E30 325is spoiler. It was on the car when I bought it. It fits really good but they had to drill a few extra holes in the trunk. Where could I find a dual exhaust for a 1979 e21 m20 323i? Prices?